Corporate Clean Property Services provides contracts for, and manages the cleaning of numerous commercial office and retail buildings, (both large and small) on behalf of property managers and direct tenants. We understand how important it is to protect and enhance the value of these assets to retain the existing tenants, and attract prospective clients. Whilst it is vital to perform regular routine cleaning maintenance, it is equally crucial to undertake regular deep cleaning. Public toilets, steam cleaning of carpets, window cleaning, strip and sealing of vinyl floors, and scrubbing floor tiles all require deep cleaning to prevent deterioration in the look and value of these buildings. 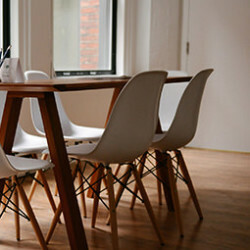 Corporate Clean Property Services is able to provide customised plans that tailor the approaches most suitable for your property and enable you to rest assured that the highest cleaning standards will be maintained. In addition, entrance areas, car parks, pathways and ponds all require periodic work and can benefit from high pressure cleaning, removal of leaves and/or staining. Commercial buildings can often be sensitive environments where privacy is paramount. All our cleaners are security cleared, checked and sign confidentiality agreements to ensure that all information remains confidential. We are also sensitive to the escalating costs of power so our cleaners are trained in minimizing power usages by switching off lights and other items when not required. Understanding your requirements ensures that high quality standards are maintained and issues are dealt with immediately.